Motor City Mustangs — CJ Zilligen Design Studio, Inc. The Motor City Mustangs are a fictional football team that is part of the Ultimate Football League. The Mustangs play in the Great Lakes Division of the Great East Conference. 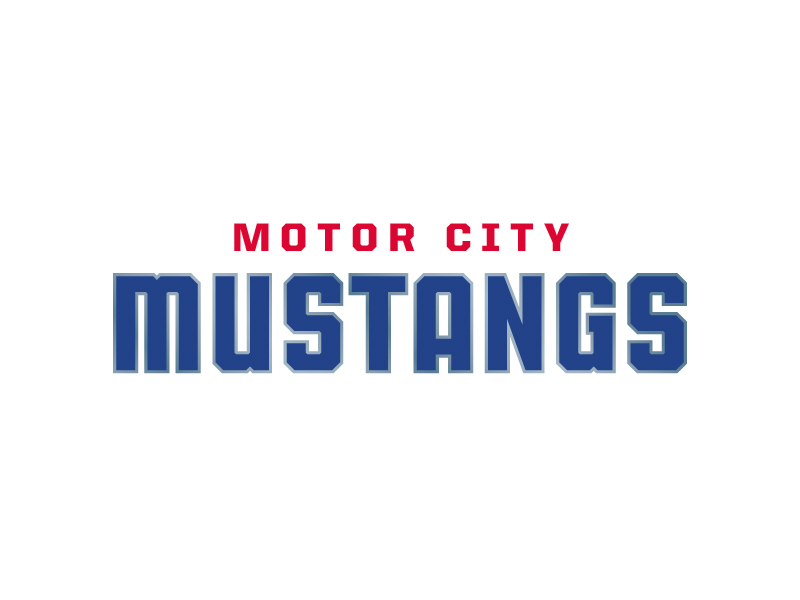 This Detroit-based franchise, named the “Motor City Mustangs”, honors the city of Detroit and its status as the center of the blue-collar American automotive industry, with General Motors, Ford, and Chrysler all headquartered in the area. The team name is derived from one of Ford’s most popular muscle car, the “Ford Mustang”, which debuted in 1964. The Mustangs wear a "Ford blue" uniform, with reflective blue-tinted silver letters and numerals to mimic a chrome finish. A candy red is used sparingly as the team’s secondary color.